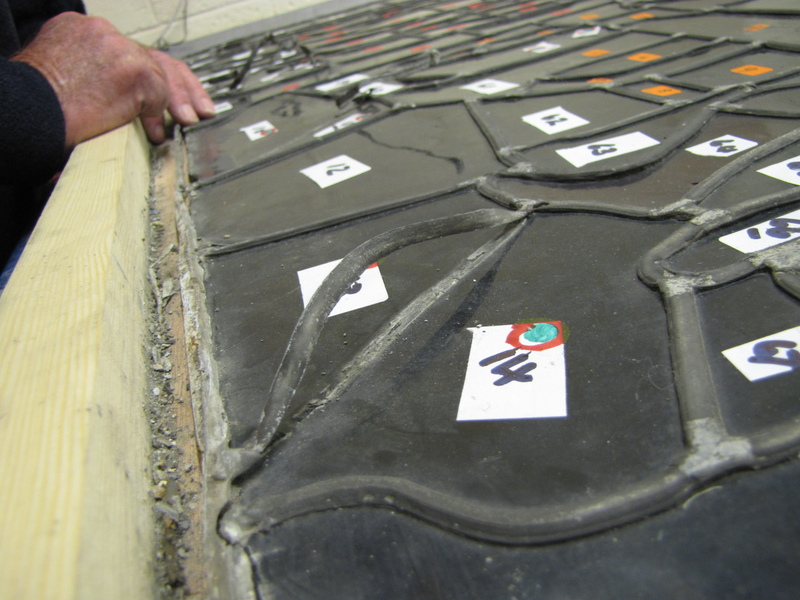 These panels were removed from the Plymouth Central Library, stripped apart in the Glow-Worm studio and then reassemled. The work was painstaking and extreme caution was taken not to incur any further damage. They were lightly brushed and some areas were gently cleaned with distilled water. 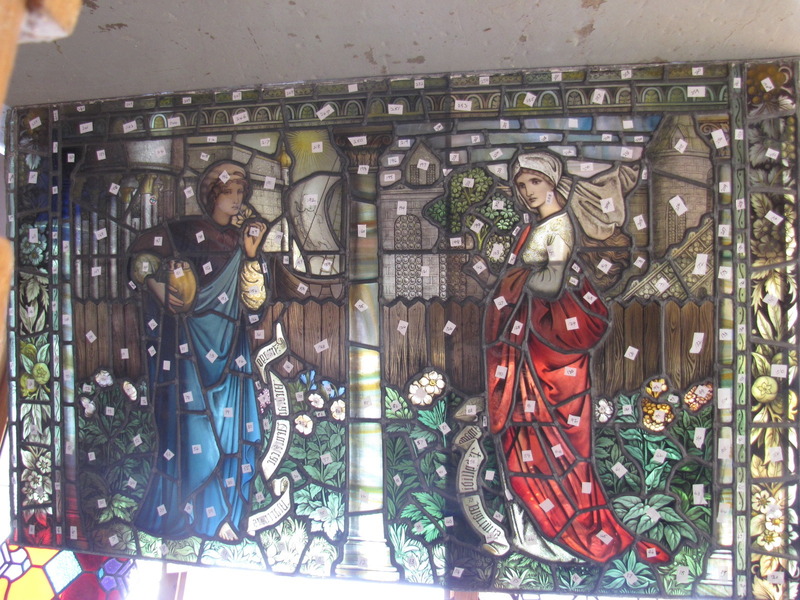 Some of the pieces had to be repaired or re-painted onto new glass. 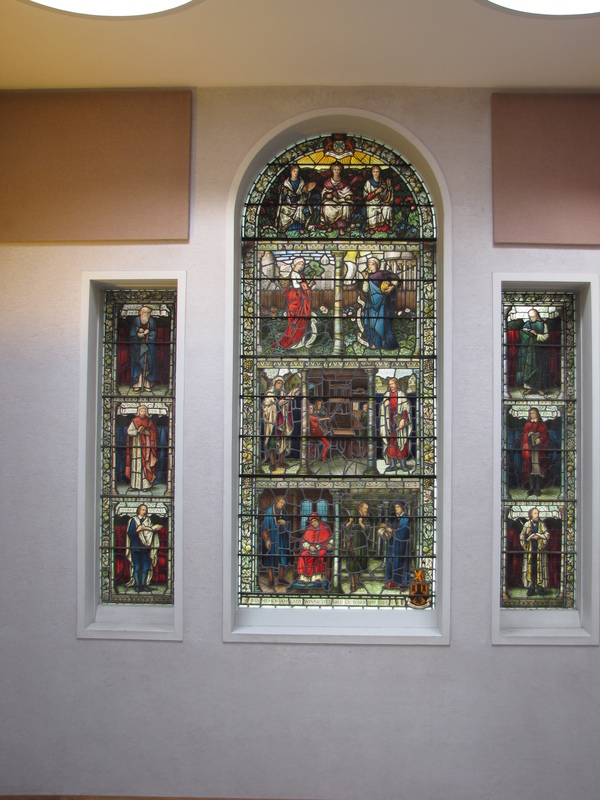 The pictures below show the restoration project at various stages inside the library and our workshop.